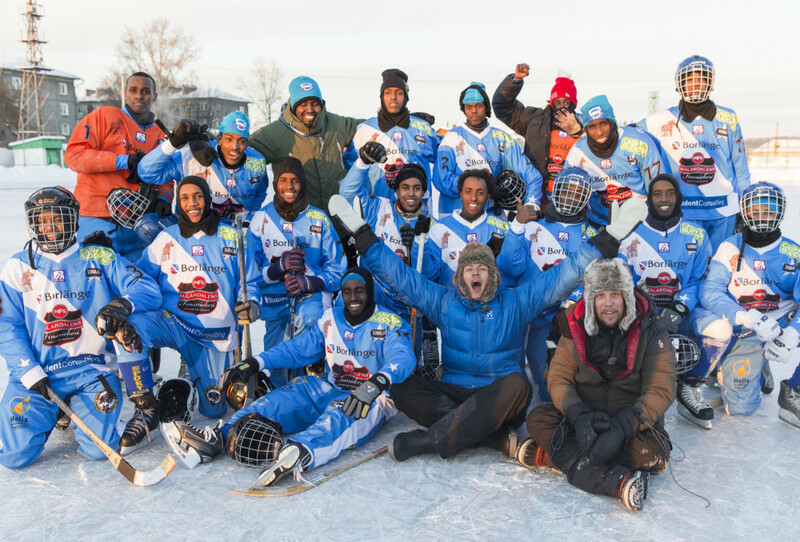 In the spring of 2013 Somalia registered to participate in the Bandy World Championships in Irkutsk, Siberia as the first African team ever. But the players did not live in Somalia, they lived in Borlänge, Sweden and had never been on a pair of skates. The nationally famous duo Filip Hammar and Fredrik Wikingsson got wind of the project and decided to follow the work and the squad during a year and a half. The result is Nice People, a documentary film that with a lot of heart, thought and humor takes on topics such as prejudice and racism. Schools present a lot of opportunities to create positive meeting places for students with different national and ethnic backgrounds. The Swedish school system has in its curriculum a clear mission to promote understanding and empathy for other people. In order to support teachers in this role, Nice People is made available to all eighth grade classes in Sweden, free to order from The Order of the Teaspoon. The Order of the Teaspoon, with partial funding from Axfoundation and Borlänge Municipalilty, are behind the initiative. A teacher’s guide is also available for download. The pedagogical exercises that accompany the film are adapted to school settings and can be used to introduce and deepen work on diversity issues such as integration and discrimination. The exercises are suitable for interdisciplinary instruction and support in the curriculum, especially for teachers who teach in Swedish, Swedish as a second language and Social Studies.